Heys guys, looking for a great time to spend with your love ones. 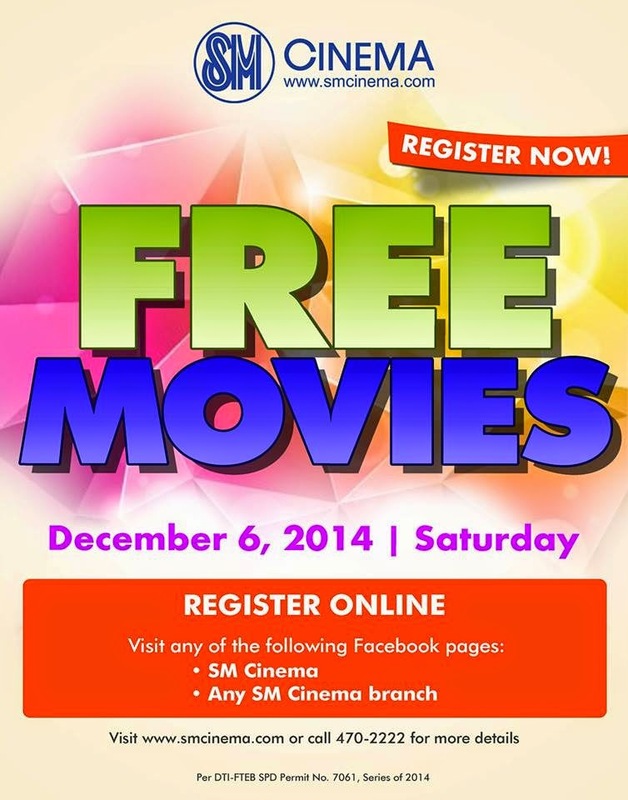 Then look no further, SM Cinemas and WM Cinemas are teaming up to give you FREE MOVIES on December 6, 2014. All you have to do is just visit the Facebook page of SM Cinema or any SM Cinema branch as well as the Facebook page of WM Cinemas, register online, select your preferred branch of SM Cinema or your preferred branch of WM Cinema, your preferred movie and schedule then just wait for the unique confirmation code which will be sent to your registered email address and which will serve as your pass to enter the cinema. This is the third time that SM Cinema will host its free movie day. This time SM Cinema is partnering with WM Cinema, who now has 6 branches, in bringing this movie event, offering the same programs and schedules to its customers. Each customer is entitled to one companion to watch the free movie. This is an early Christmas treat for everyone, young and old alike. So register now and have a great FREE MOVIE DAY on December 6.